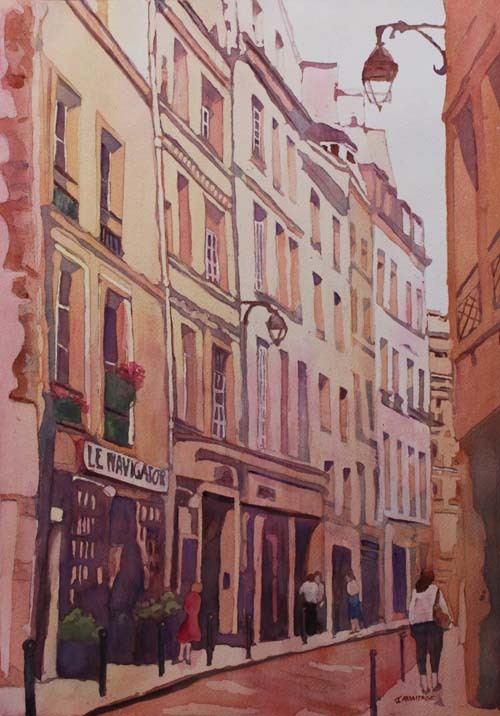 Another painting taken from our trip to Europe last summer. This charming little street is close to Nortre Dame, but at least a little off the beaten path. Like many of the streets in the area, it curves charmingly. 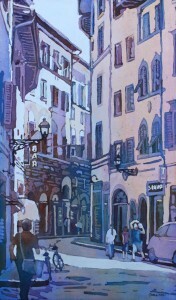 I poured this painting in much the same manner as July in Florence. 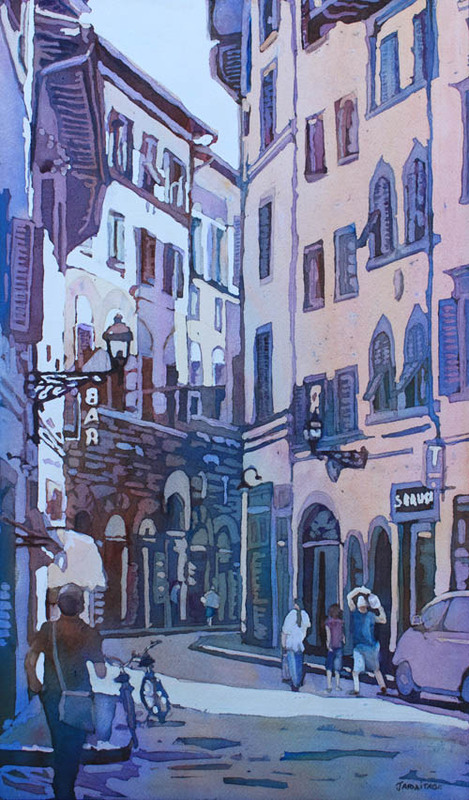 The process is much like batik and leads to clear color passages that make buildings glow.